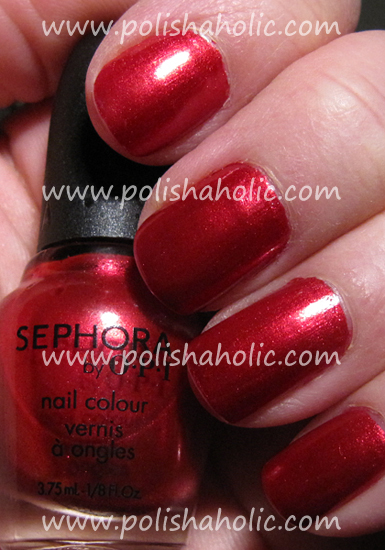 Here’s photos of Sephora by OPI Cab Fare polish. Bright yellow shade with yellow, pink and green shimmer. Yellow polishes are usually like nightmares to apply but this one was great. Though this time the problem was the fact that Cab Fare is very sheer. Three coats wasn’t enough for an opaque result and I don’t think a fourth coat would’ve made much of a difference. Should try this over a layer of white polish for more opaque result. As I said this applied very well and three coats dried quickly with Seche Vite. As sheer as this was I still love it! The closeup photo is very blurry and I was just trying to get the shimmer to show up a little. 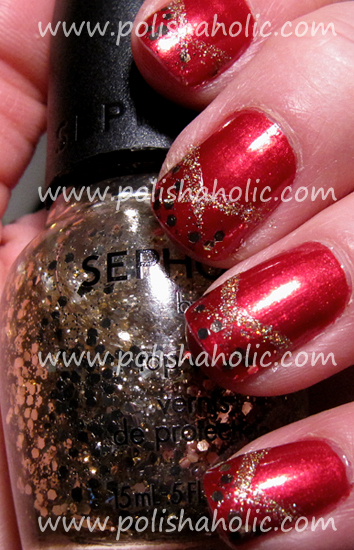 Let’s continue with the Sephora by OPI mini collection polishes. This time I’m wearing gorgeous green shade, Leaf Him At The Altar. This one is a metallic-frost (or something of the sort) polish. In my collection this is unique and it’s a totally beautiful color. This is clearly green and doesn’t have for example gold tones in it. Application was alright and two coats was enough for my nails. Longer nails probably need the third coat. Drying time was short with a little help from Seche Vite. Brush strokes are somewhat visible but it doesn’t look bad at all. For all of you green lovers out there this is a shade worth owning. In this mani I used Nail Tek II x1, Leaf Him At The Altar x2 and Seche Vite to dry it all up nice and fast. This Christmas time I’ve been so lazy it’s not even funny. So I might continue being lazy when it comes to manicures too ;) I’ve only done two Xmas manis (very simple ones) and this is the first one of those. Here’s the yesterday’s Sephora by OPI Sample Sale mani with Sephora by OPI Only Gold For Me top coat on the tips and Art Club liner Gold Hologram. Categories Nail Art, Nails, Sephora by O.P.I. This one is like Opening Night’s red little sister, stunning red shimmer polish. In a certain light this one looks like it’s glowing from the inside. 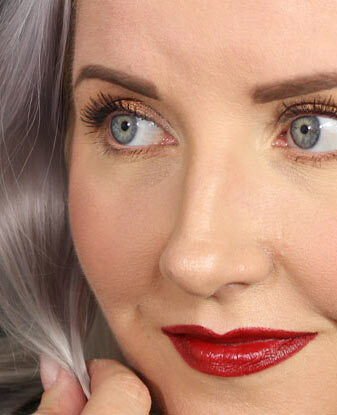 The red shade on this is gorgeous and fits the time of the year perfectly. This also applied very well and dried fast. Two coats was enough for an opaque result. I like this shade so much I might actually finish whole mini bottle someday. 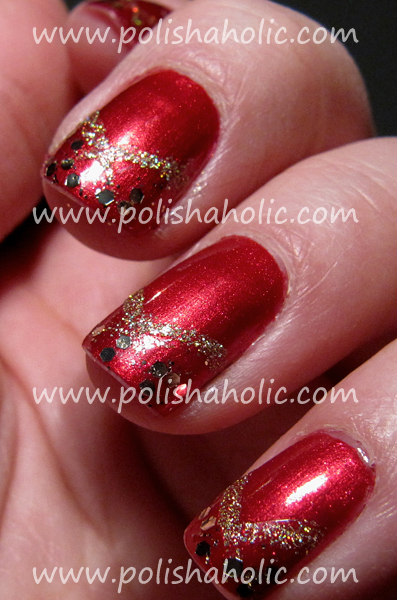 In this mani I used: Nail Tek II x1, Sample Sale x2 and Seche Vite on Top. The photo doesn’t do justice to this polish and I couldn’t capture the inner glow this one has. This is a perfect choice for my first swatch from the Sephora by OPI 18 minibottles collection. Sephora by OPI Opening Night is a stunning blue shimmer polish. This shade is so deep and still clearly blue, not black in any light. This is a dupe for OPI Yoga-Ta Get This Blue!. I compared this next to each other on my nail and Yoga-Ta Get This Blue! is tiny bit deeper blue and has brighter shimmer. The difference is too slight for my camera to capture so no use taking a pic. If you have neither of these polishes and you have to choose between the two I recommend YGTB! cos that one is just a tiny tiny bit more beautiful. This polish is so pigment-rich and applies so smoothly. One coat was enough for my short nails and it dried super-fast. Perfect! In this mani I used: Nail Tek II x1, Opening Night x1 and Seche Vite on top. It’s quite thick in the bottle but not impossible to apply. I didn’t feel a need to use thinner yet. Two coats was enough for opaque result and this dried quickly. In this mani I used: OPI NNS x2, Never Enough Shoes x2 and Poshe on top.